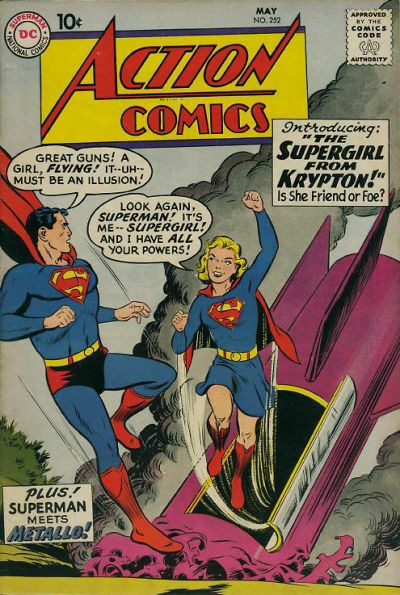 With the girl of steel joining the cast of Smallville this season, Blake and Chase decided to use this week to talk about their favorite Supergirl stories, the many incarnations of the character, and whether or not she makes sense in the current DC Universe. Star Wars: Legacy and Wrath of the Titans join the ranks of Showcase Picks this week. This entry was posted in Showcase Podcast and tagged Clash of the Titans, Smallville, Star Wars, Star Wars: Legacy, Supergirl, Superman, Wrath of the Titans. Bookmark the permalink.